In 2006, 20,000-year-old fossilized human footprints were discovered in Australia which indicated that the man who made them was running at the speed of a modern Olympic sprinter, barefoot, in the sand. 2. The autistic spectrum and the distinction between "high functioning" and "low functioning" autism was discovered by Hans Asperger in an attempt to save children in his clinic from the Gestapo during World War 2, who killed disabled children in preparation for the Holocaust. 3. In 2015, Romanian sewer workers accidentally discovered a cave which was sealed for 5.5 million years. Movile Cave is filled with evolutionarily distinct exotic creatures (albino crabs, worms) which feed off sulfur-producing bacteria. 4. 28 fossils of the largest extinct species of the snake were discovered in a coal mine of Columbia. The "Titanoboa" lived about 65 million years ago. The species clocked out at about 48 feet long and weighed roughly 2,500 lb. 5. The Mask of Warka is the oldest discovered accurate depiction of a human face (3100 B.C.). It disappeared from the National Museum of Iraq after the 2003 US invasion. A US military mission to recover lost artifacts found the mask, undamaged, buried in a farmer's backyard. Scientists have recently discovered repeating radio signals coming from a mysterious source well beyond the Milky Way. 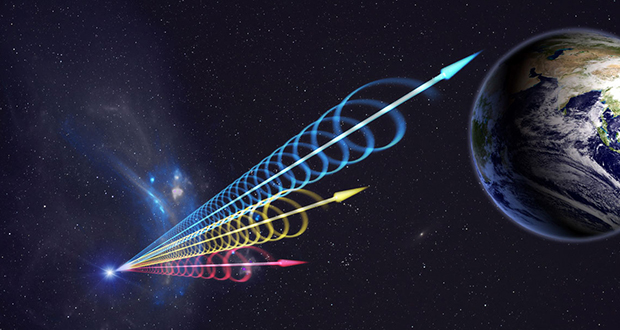 While one-off fast radio bursts (FRBs) have been detected in the past, this is the first time multiple signals have been detected coming from the same place in space. 7. Researchers testing insect repellents used a Victoria Secret perfume as a standard and accidentally discovered that it repels mosquitoes better than many repellents on the market. 8. In 2016, an intricate, 300-year-old map of the world was discovered wedged into a chimney in Aberdeen to stop a draft. It was delivered to the National Library in Scotland for painstaking restoration. 9. The "Star of the South" is one of the largest diamonds in the world. Discovered by a river in Brazil in July 1853, it was found by a slave girl named Rosa, who turned the diamond over to her master. He rewarded her by granting her freedom and giving her a pension for life. 10. By examining high-resolution satellite imagery with algorithms developed via trial-and-error, Sarah Parcak and her team have discovered 17 pyramids, 1,000 tombs, and over 3,100 settlements in Egypt alone. She now wants to crowdsource "space archaeology" to prevent looting of ancient sites. Scientists recently discovered giant viruses (as big as 1 μm in length), named Pandoraviruses. Because more than 93% of their genes resemble nothing known and their origin cannot be traced back to any known cellular lineage, scientists suggest the existence of the 4th domain of life. 12. In 1963, a man knocked down a wall of his home. Behind it, he discovered a mysterious room and soon discovered an intricate tunnel system with additional cave-like rooms. What he had discovered was the ancient Derinkuyu underground city in Turkey. 13. A Japanese farmer discovered a gold seal while repairing an irrigation ditch in 1784. The seal turned out to be 95% pure gold and was a gift from the Chinese Emperor to a Japanese envoy from 54 C.E., the earliest recorded date of contact between the two countries. 14. Coelacanths were thought to be extinct since the Cretaceous period, yet they were discovered alive in 1938. 15. In 2013, The Wall Street Journal discovered a cache of files which revealed that the U.S. government lobotomized over 2000 veterans against their will after World War 2. The veterans were lobotomized for reasons such as PTSD, depression, schizophrenia, and occasionally homosexuality. Alchemist Hennig Brand believed that he could distill gold from human urine. After stockpiling 1,500 gallons of the liquid and boiling it, he discovered phosphorus. 17. Petroleum Jelly was first discovered when a chemist visiting an oil rig noticed that the workers would smear the wax that built upon the drills and rigs on their wounds to heal them faster. He figured out how to refine it and started selling it under the name Vaseline. 18. Northern Elephant Seals were thought to be extinct until eight were discovered on Guadalupe Island in 1874 by a Smithsonian expedition. They then killed seven for their collections. 19. Russia has a vast diamond field containing "trillions of carats", enough to supply global markets for another 3000 years. The field was discovered in the 1970s underneath 35 million year-old asteroid crater in Siberia. 20. In 2011, a KFC employee discovered a 200 page, type-written manuscript written by Colonel Sanders (b1890-d1980) consisting of recipes, anecdotes, and life lessons. Out of 46,000 discovered species of spider, only a single spider named Bagheera Kiplingi has been found to be a herbivore. 22. In 2013, UK scientists discovered 3 new species of mushroom after buying dried porcini mushrooms from a local grocery store and testing them. 23. In 1911, a colony of Adélie penguins was discovered to have homosexual and necrophilic behaviors. It was at that time considered too indecent for publication. The findings were finally published in 2012. 24. German archaeologists at Herxheim (in southwest Germany) discovered 7,000-year-old mass graves containing at least 500 people who were ritually butchered and eaten by an unknown cannibalistic culture as part of a "...standard, repetitive and strongly ritualized practice." 25. The sugar industry paid to play down the link between sugar and heart disease while falsely promoting saturated fat as the culprit. Documents discovered by a researcher at UCSF show how decades of misinformation shaped improper nutritional advice and caused the rise of heart disease in America.